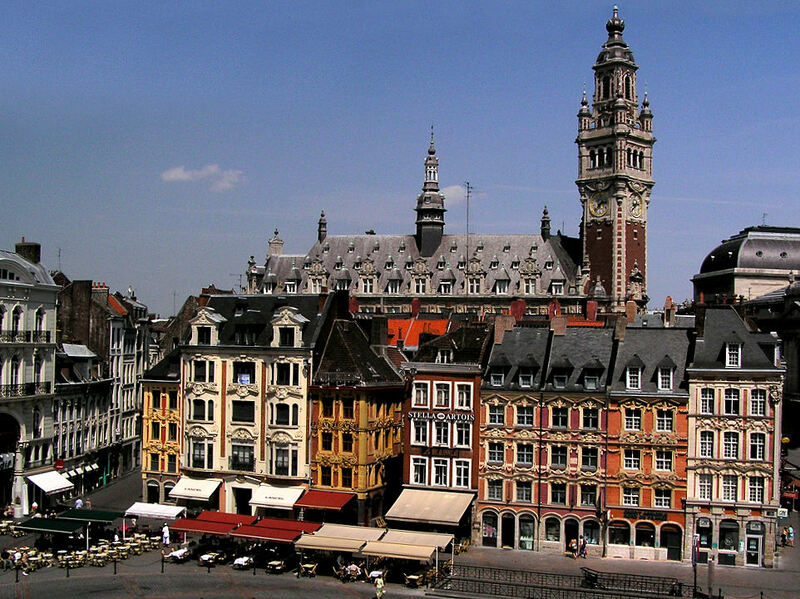 Based in the north and close to the Belgian border, Lille is the fourth largest city in France. 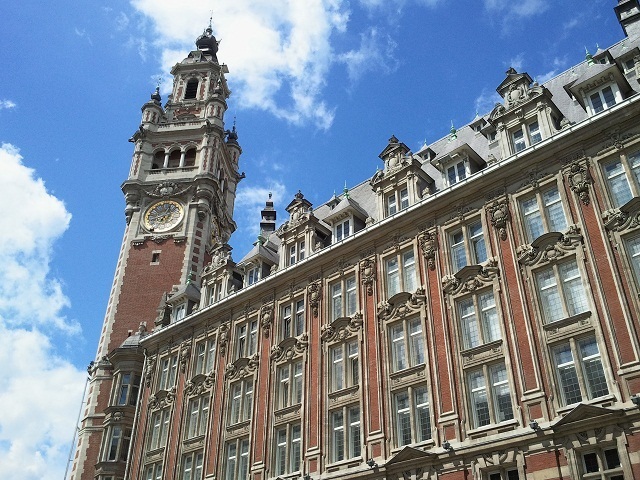 Easy to reach, Lille is served by the Eurostar, as well as being a short drive or train journey after a ferry trip from Dover to Calais. In the heart of the city you will find the Grand Place (Place du Général de Gaulle). 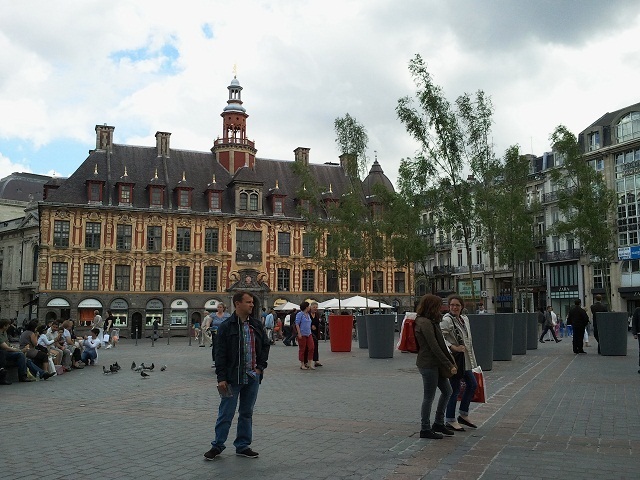 This is the historic main square in the centre of Lille. Once home to an important medieval market, Lille’s Grand Place today plays host to beautiful architecture from the 17th to 20th centuries. 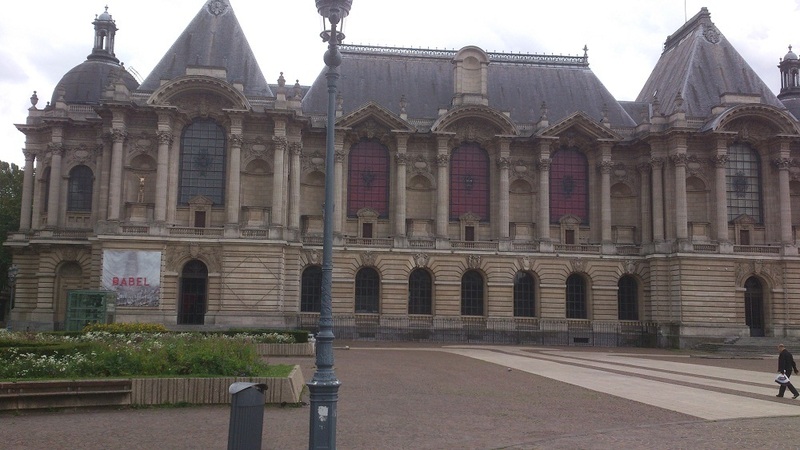 The Vieille Bourse, the home of the Old Stock Exchange is one of the most popular tourist attractions in the city. Completed in 1653, this building is a great example of 17th century Flemish renaissance-style architecture. Consisting of 24 identical townhouses, the Vieille Bourse today overlooks a courtyard that is used for dancing couples at night. Not far away from the Vieille Bourse on your walk around the city centre you will pass the statue of the Goddess overlooking the square. Looking down from the top of her column, she commemorates Lille’s resistance of the Austrian siege from September to October 1792. Other statues around Lille include the Three Graces (Trois Grâces) at the top of the Voix du Nord (Voice of the North). This statue represents the three former provinces of the region; Artois, Flanders and Hainault. The Théâtre du Nord (Theatre of the North) is another great example of classical architecture around the Grand Place. The building is composed by two buildings side-by-side. The Ganrd’Garde, built in 1717 and attached to the Salamandre in Tourcoing to form the Théâtre du Nord. The theatre hosts several shows all year round and offers several meetings, including those dedicated to the public. One building that stands out in Lille is the 76-metre high belfry of the Chamber of Commerce. Built in 1921 and peeking out over the Vieille Bourse, the Chamber of Commerce was designed in a beautiful neo-Flemish style by architect Louis Marie Cordonnier. Next door to the theatre is the Opéra de Lille, a theatre-style neo-classical opera house designed by Louis Marie Cordonnier that was built in 1913. 10 years prior to the current opera, the previous Lille opera house was destroyed by a fire. Officially opened in 1923, the current day Opéra de Lille hosts a full calendar of dance, opera and concerts each year. The Lille Palace of Fine Arts (Palais des Beaux-Arts de Lille) is one of the largest museums in France, and is in fact the largest museum in the country outside of Paris. Built under the instructions of Napoleon I at the beginning of the 19th century, the Palace of Fine Arts opened in 1809. After a renovation in the 1990s, this museum holds works by Raphael, Donatello, van Dyck, Tissot, Rembrandt, Goya, Rodin and many, many more across the 22,000m² covered. Both the interior and exterior are spectacular. You can view this and the art works inside for just €4.60. The Old Town (Vieux Lille) has a Flemish feel, with red brick buildings and narrow, cobbled lanes. Whilst passing through, there are a number of sights to see in this part of the city; including the 13th-century Hospice Museum of the Countess (Musée de l’Hospice Comtesse) and the Lille Cathedral (Basilique-Cathédrale Notre-Dame-de-la-Treille de Lille). This is also the birthplace of Charles de Gaulle. You will also pass by a number of restaurants, bars and shops in the Old Town. The Old Town is a good choice for restaurants and bars, being a lot cheaper than the restaurants around the Grand Place (and arguably a lot tastier). 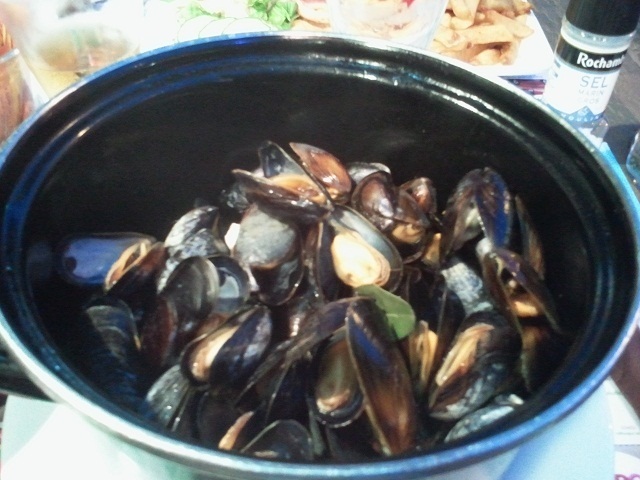 The Moules-Frites (fried mussels) are a speciality in Lille. The majority of restaurants in Lille sell these, so there is no excuse for not tasting them. Served in a large saucepan, usually with a wine sauce. No visit to France is complete without trying some of their cheese. Lille is no exception. Several different cheeses are sold around the city, particularly noticeable in the Old Town. The most popular beers in Lille are Kronenbourg and Grimbergen. Kronenbourg is well-known around other parts of Europe, whilst Grimbergen is a wheat beer. 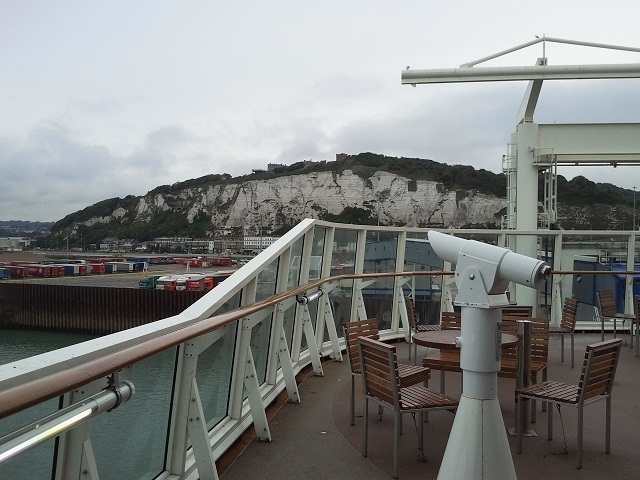 Guest post written by Barrie from Ferry to France – finding you the cheapest ferry crossing to France!